2015 In Review: The 2015 season was supposed to be the year the Pac-12 put itself on par with the SEC as the best conference in America. The league returned plenty of talent, particularly the Pac-12 South, as USC, UCLA and both Arizona schools entered last year with tremendous hype surrounding them. The league didn't quite deliver on that hype. Stanford lost to Northwestern non-conference and a late season loss to Oregon sunk their Playoff hopes. Oregon lost non-conference to Michigan State and struggled with injuries and a poor defense. In the South Division, USC was a complete disaster and head coach Steve Sarkisian was canned, UCLA was too young, and neither Arizona school delivered. Utah was a pleasant surprise early on, but injuries soon sunk their Playoff and conference championship aspirations. Overall, last season was pretty disappointing for football on the West Coast, but the conference is planning a grand return as we enter 2016. After a very disappointing 8-5 mark in 2014, Stanford was hoping to prove it was still one of the top programs in college football last season, and they did just that. The Cardinal recovered from a terrible opener to look like one of the most complete teams in college football. Back Christian McCaffrey did it all, QB Kevin Hogan was playing well and the defense was its usual dominant self. Stanford will miss Hogan and many members of that defense, but this team should still have a chance to be a Playoff contender this season. McCaffrey is back and while defenses can focus on him, he does so many different things he can still impact the game in a major way. The passing attack is a question, with senior Ryan Burns slated to start their opener over talented junior Keller Chryst. He will have senior receivers Michael Rector and Francis Owusu available to help in what will be a conservative scheme. Defensively, Stanford should still be wonderful. Junior defensive end Solomon Thomas has big-time talent but is yet to fully deliver, and should be joined on the D-Line by junior Harrison Phillips. Seniors Peter Kalambayi and Kevin Palma should also be important contributors at linebacker. The Cardinal have a brutal opening month (Kansas State, USC, UCLA and Washington), which doesn't give them much time to try out their quarterback situation. That could be a problem, but this program has enough depth and experience to still be in the hunt for the Pac-12 crown regardless. Oregon stumbled by sorts last season, dropping to 9-4 and losing a heartbreaking Alamo Bowl to TCU. The Ducks will almost certainly be improved in 2016, thanks to the return of back Royce Freeman and some help on defense. Freeman was wonderful in '15, proving to be the next great Oregon back. He rushed for 1,836 yards last year and it would be silly not to include him in the vast race for the Heisman. He will be helped offensively by an abundance of playmakers, most notably do-it-all Charles Nelson (who can also play defense), a healthy Pharoah Brown at tight end and Devon Allen, a speedster who recently just ran in the 2016 Rio Olympics. Quarterback may be interesting, but it appears Montana State transfer Dakota Prukop will take over the pivotal role. Prukop was one of the best players in FCS football last season, and Vernon Adams was in the same situation with the team a year ago and was superb. He will have to work with an offensive line that has some holes, but some astounding speed on the outside. On the other side of the ball, Oregon has to improve. They were brutal a year ago, and hope that the addition of former Michigan head coach Brady Hoke will change that. Hoke doesn't have a bare cupboard to work with, even with DeForest Buckner departed on the defensive line, but the group still needs to improve in a big way. This should be a typical Oregon team that will light up the scoreboard but may struggle to stop teams from doing the same. Even so, that is good enough to be in the hunt for a double-digit win season and Pac-12 crown. So begins Year 3 for Chris Petersen at Washington, and the expectations have been raised. The Huskies were decent last year, showing flashes of potential as they went on to go 7-6. However, they did that with an extremely young team that wasn't fully healthy. This year, they will be much more experienced, particularly at the skill positions. Sophomore Jake Browning should lock down the QB job after showing promise a year ago. Sophomore Myles Gaskin is among the most underrated in the nation at running back and the Huskies get talented receiver John Ross III back from injury. Defensively, the Huskies have one of the nation's top secondaries, headlined by safety Budda Baker and corner Sidney Jones. They have some holes to fill in the front seven, but UW's defense should still be very stout. The Huskies were the talk of the summer with how much hype they were receiving, many even picking them to win the conference. 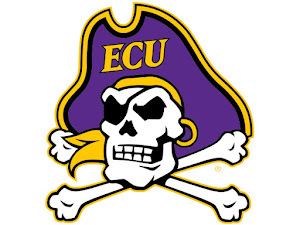 I like their potential, but I think that may be a year premature for their breakout under Petersen. Even so, ten wins is very feasible, particularly with a weak non-conference slate. It has been a rocky few years at times, but it appears Mike Leach finally has a legit Pac-12 title contender at Washington State. 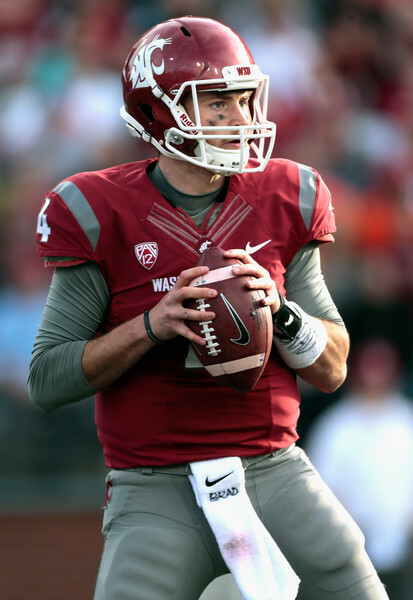 The Cougars won nine games a year ago and return their key piece, junior QB Luke Falk. Falk averaged over 380 yards a game through the air a season ago, and should do much the same in the Cougars' Air Raid attack in 2016. He will be helped by a wonderful cast of receivers, mainly Gabe Marks, who opted to hold off on the pros. Reliable senior River Cracraft is also back along with an improved offensive line. Defense has long been Leach's Achilles Heel, but it could be pretty solid this year in Pullman. Sophomore defensive end Hercules Mata'afa has the upside to be one of the best pass rushers in the conference, and their is potential in the secondary. With a dynamic passing game and improved depth, Washington State could take even bigger leaps in 2016. Even in the crowded and deep Pac-12 North, the Cougars could be in the hunt for their first Pac-12 title under Leach. Sonny Dykes continues to do great work at Cal, who won just 1 game in his debut season (2013) but has responded with a 5-7 2014 and 8-5 mark last year. 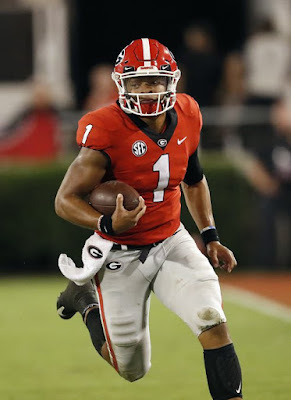 Unfortunately, he will move into his fourth year without the quarterback who was been under center for him every year he has been in Berkeley. Jared Goff jumped to the NFL and was soon snatched up by LA with the first pick of the draft. Cal still could be great at the position, as former Texas Tech transfer Davis Webb opted to join the Bears. Webb was originally committed to Colorado after opting to transfer from Tech, but saw a better opportunity with the Bears. He shined in the opener and could have a special season. His receiver corps is inexperienced, but having a great back helps and Cal returns Tre Watson there. Cal was one of the worst defenses in the Pac-12 last season, which hindered what Goff and the offense did. The rushing defense must improve, and the red zone D must become more aggressive. Even if Webb is terrific, this team still has plenty of questions. In a brutal division, repeating the four conference wins the Bears managed in '15 will be tough. 2015 was not how Gary Andersen hoped to debut at Oregon State after plenty of success at previous stops Utah State and Wisconsin. The Beavers lacked a passing game, their defense was inconsistent and they were sloppy. Most importantly, however, was the fact they couldn't close out games as Oregon State choked plenty of games en route to a deflating 2-10 record last season. The quarterback position is at a crossroads. Sophomore Seth Collins started last year but was up-and-down and replaced. He moved to receiver in the spring, but could still assist at the position. That leaves Utah State transfer Darrell Garretson as the likely replacement. Garrettson will have a couple good receivers to work with, namely senior Victor Bolden and junior Jordan Villamin. The defense could have some growing pains, but has good depth. Unfortunately, 2015's leading tackler, Rommel Mageo, transferred to Ole Miss for his final collegiate season. Senior Caleb Saulo is returning and many other pieces to the front seven, so Oregon State has plenty of upside. The Beavers have some impressive pieces and Andersen is a good coach. It is just a matter of time before they hit their stride. However, a tough schedule and a brutal road schedule could leave them struggling to stay out of the North cellar. I was one of the many people who bought into USC last year, picking them to win the Pac-12 and make the College Football Playoff. Things didn't quite work out as planned. Head coach Steve Sarkisian struggled on the field and had some personal issues to deal with, leading to his firing halfway through the year. Interim coach Clay Helton did a great job taking over midseason and leading the Trojans to a Pac-12 South title. USC opted to bring the interim coach in a full-time role, and Helton will provide much needed stability to a program that has insane talent, but has not yet put it altogether since Pete Carroll left years ago. The offense has impressive talent, led by one of the nation's top receivers in JuJu Smith-Schuster and a two-headed monster at running back with Justin Davis and Ronald Jones II. Max Browne is slated to take over for the departed Cody Kessler at quarterback, and will have plenty to work with. Sophomore Cameron Smith is one of of many key contributors back on defense, a group that was inconsistent in 2015. Sophomore cornerback Iman Marshall is a breakout candidate, while USC will also hope for big things from junior Adoree' Jackson, who can do so many different things. Helton has a ton to work with and is a great coach, but the Trojans face a brutal schedule in Year One, which includes non-conference dates with Alabama, Notre Dame and Utah State, while getting Stanford, Oregon and Washington all from the other division. Even so, this team should be able to win the division with their vast collection of talent and more experience. Much like their Los Angeles counterpart, UCLA had impressive talent entering last year, but wasn't quite able to deliver. True freshman Josh Rosen, one of the nation's top recruits, took over for Brett Hundley at quarterback and was terrific. Despite his youth, the signal-caller threw for 3,668 yards and 23 touchdowns a year ago. If he can cut down on turnovers, UCLA has a Heisman contender at quarterback. The ground attack and receiver corps will have to be revamped after suffering major losses, but sophomore Soso Jamabo is expected to have a breakout year at tailback, and junior Eldridge Massington has potential at receiver. The Bruins' defense could be much improved, thanks in large part to the return of defensive linemen Eddie Vanderdoes, who missed all of last year but is dominant when healthy. No Myles Jack may hurt this team's versatility on defense, but they still have loads of weapons to utilize on that side of the ball. Senior Jayon Brown is a tackling machine that should play a major role in the rush defense, and senior Deon Hollins could be a beast at pass rusher as a senior. The Bruins will still be very young this season and their offense does have more question marks than USC. However, they still have enough to compete for the a conference title, particularly if Rosen takes bigger leaps as a sophomore. Utah started off 2016 flaming hot, as wins over Michigan and Oregon put them in the conversation for a Playoff berth. Naturally, they cooled down as the passing game started to struggle and they suffered injuries. Yet, they still managed to win 10 games and put together their best season since taking the jump to the difficult Pac-12. They lose some talent, but head coach Kyle Whittingham has developed a consistent winner in the conference, and they should still be dangerous in 2016. Quarterback is a problem; former starter Travis Wilson never quite put it together, but the Utes are hopeful for better play from his replacement. Junior Troy Williams is competing with freshman Tyler Huntley and Brandon Cox for the job, and apparently they are pretty equal as we inch towards the season-opener against Southern Utah. Running back will miss Devontae Booker, but Joe Williams came in for the injured veteran a year ago and was very good, and should bring stability at the position. The Utes have long been a defense-orientated team, and they return loads of talent on that side of the ball. Junior Lowell Lotulelei is back as a dominant force at defensive tackle, while the secondary brings back All-Pac-12 safety Marcus Williams and corner Brian Allen. Adding in highly touted junior college transfer Garrett Bolles will give even more strength to a great rush defense. The Utes may take a step back with their losses offensively, but this is still a very good football team. A favorable schedule could help them stay in the mix for another ten-win campaign. After a breakthrough 2014 that saw the Wildcats make a New Year's Six Bowl, Arizona fell back to Earth last season. The passing game was inconsistent, the team struggled with turnovers, and the defense struggled without the help of linebacker Scooby Wright, who was injured much of the year. The Wildcats hope to improve on their 7-6 2015 and will need their offense to improve to do that. Quarterback Anu Solomon is back for his junior year, but is getting pressured by a host of players for his job, namely Brandon Dawkins. Junior Nick Wilson should guide an electric rush attack, and the Wildcats still have plenty of speed and explosiveness at receiver, with seniors Samajie Grant and Nate Phillips back. On defense, the Wildcats are searching for somebody to take over the production and leadership void left by Wright, who left to the NFL. Junior end Parker Zellers has a chance to be very productive, and the linebacker corps gets Cody Ippolito back from a torn ACL that cost him all of 2015. If the defense can take the necessary steps and the offense gets its swagger back, Arizona very well could be a major dark horse in the conference. If not, the 'Cats may have to settle for another .500 year. After also recording an impressive 2014 season (10-3 overall) Arizona State also took a major step back in '15. The big problem was a defense that was aggressive but incredibly leaky, and one that gave up 33.5 points per game. Despite the offense being productive, it couldn't recover from a defense that too often surrendered points without much fight. Third-year defensive coordinator Keith Patterson will get pressure on the quarterback, but the rest of the group has to prove themselves. Linebackers Salamo Fiso and Christian Sam will have to stop opponents, and the secondary needs to find a leader. While the defense will undergo some growing pains, ASU should still put up points in a hurry, much like they did a season ago. Sophomore Manny Wilkins is expected to take over at quarterback, and will be supported by a host of characters. Junior receiver Ellis Jefferson is incredibly dangerous, and junior Demario Richard proved he could carry the running back position. Paired with a talented offensive line, the Sun Devils have the pieces to improve on their 6-7 mark last season. However, unless the defense takes major steps, competing for the Pac-12 South crown may be out of reach. So begins the fourth year of Mike MacIntrye's long rebuild in Boulder, Colorado. The Buffaloes have won just 10 games under his leadership, but they showed progress last season. They were very competitive in Pac-12 play and won four games overall. They may not improve their record a ton in '16, when considering they get Michigan non-conference and a tough road slate, but they should be improved on the field. Quarterback Sefo Liufau appears ready to go for his senior season, after missing a big chunk of last year with a Lisfranc injury. 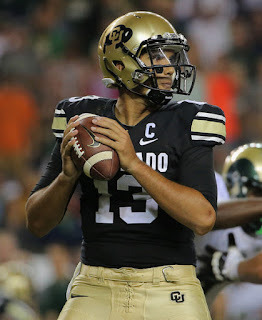 Liufau needs just only a handful of yards to become CU's all-time passing leader. He'll be helped by receivers Shay Fields and Juwann Winfree, a talented newcomer. On defense, the Buffaloes have to improve, but the group showed plenty of fight in '15. Senior Josh Tupou is back after missing all of last season with legal issues following an arrest. His return bolsters the front seven in a big way, and will further be helped by the return of Addison Gillam and Kenneth Olugbode at linebacker. The secondary has enough pieces to survive in the pass-happy Pac-12. Colorado continues to slowly make progress under MacIntrye, and this season should be no different. If Liufau comes back 100 percent, this team could very well compete for a bowl berth.